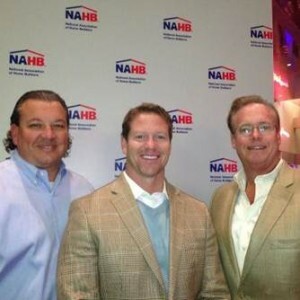 NEFBA’s 2012 membership increased approximately 20 percent in year over year results with a net growth of 176 members. More than 200 NEFBA members participated in the association’s 2012 membership drive. NEFBA’s top recruiters for the year were Past President Barbara Moore (18 new members recruited), Mark McGuigan and Ken Kuester (14 each), Dennis Ginder and Keith Ward (11 each), and Chris Shee and Tom Trout (nine each). 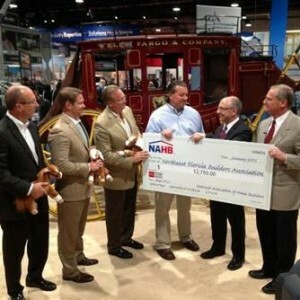 NEFBA leaders accepted the award and a rebate check for $12,750 from NAHB during an awards presentation at the International Builders Show in Las Vegas. NEFBA President Dennis Ginder accepted the award with NEFBA Past President Jerry Linder and NEFBA Executive Director Daniel Davis.